Come and join us for the ultimate entertainment experience at a 2019 Melbourne Vixens home match! 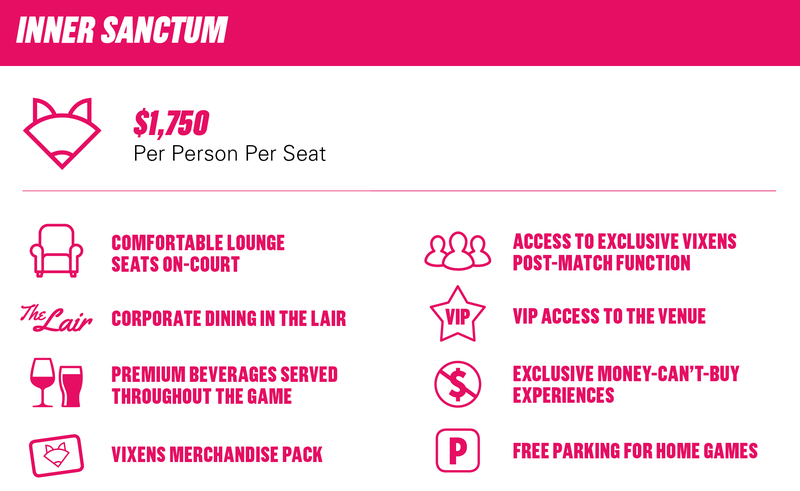 The Inner Sanctum is our premium hospitality offering with luxury on court seats. Use your seats to entertain clients or sit courtside with friends and family. Enjoy a Vixens match and entertain clients, family or friends in your own Corporate Suite.